Another side of Canada: The Story of Us — The First World War | TV, eh? In 1999, veteran NBC news broadcaster Tom Brokaw wrote a book called The Greatest Generation, and Sunday’s episode of Canada: The Story of Us entitled, “Service and Sacrifice,” tells the Canadian version of that same era in history—The First World War—and gives detailed accounts of Canadian initiative and heroism during it. 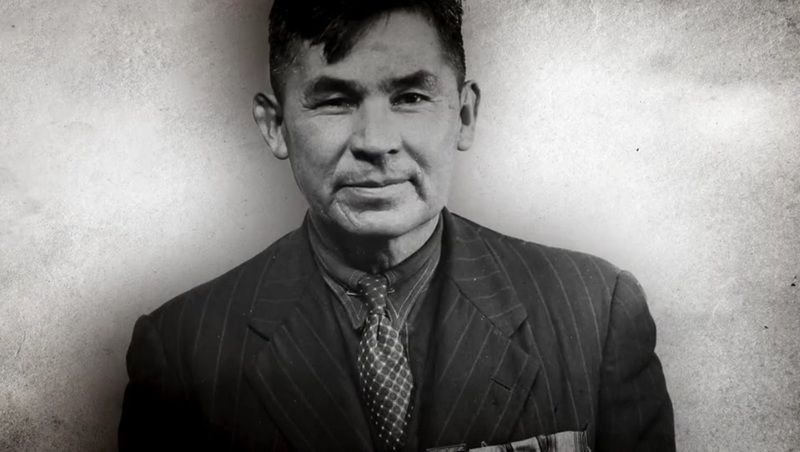 We begin with Francis Pegamahgabow, an Anishnaabek man from what is now Shewanaga First Nation along Georgian Bay, who through his courageous acts in Europe at the Battle of Ypres and Passchendaele, was the recipient of the Military Medal three times, and to this day is the most decorated Indigenous soldier in Canadian military history. Once home from the war, Francis became Chief of Wasauksing and helped to establish what is now known as the Assembly of First Nations. The episode then goes on to detail the leadership of General Sir Arthur William Currie, and nicely illustrates his tactical prowess and victory at Vimy Ridge in this the centennial anniversary of that battle. But with the need for servicemen, Canadian farms were at risk. The need for food necessitated the Soldiers of the Soil (SOS) national initiative. 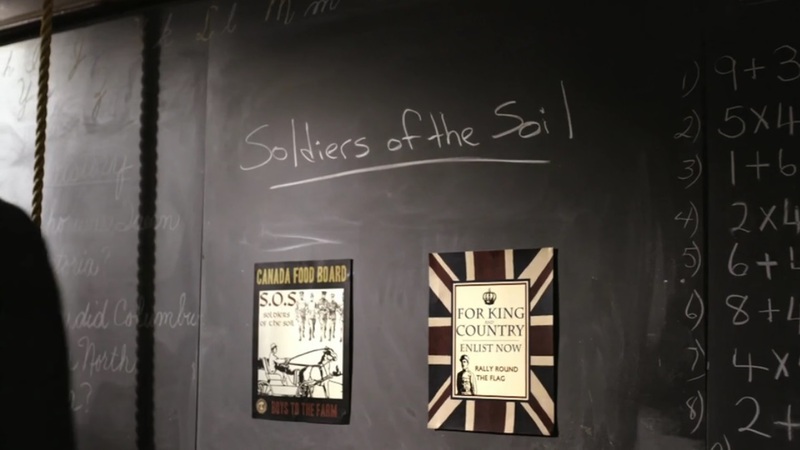 This program encouraged adolescent boys to volunteer for farm service and recruited more than 22,000 young men from across Canada. Many came from urban high schools and lived on rural farms for terms of three months or more. Women, too, saw a revolution in their roles within Canadian society as they contributed dramatically to the war effort. Thousands joined the labour force and manned the factories, particularly within the munitions manufacturing sector, whilst others travelled to the front as nurses of the Canadian Army Medical Corps, risking their own lives to serve on the field of battle. This episode also covered the death of Baron von Richthofen—a.k.a. The Red Baron—by Canadian Lieutenant Wilfrid “Wop” May of No. 209 Squadron, Royal Air Force, and the importance of radio and its ability to connect Canadians was demonstrated with the retelling of May’s “Race against Death,” 10 years following the war. 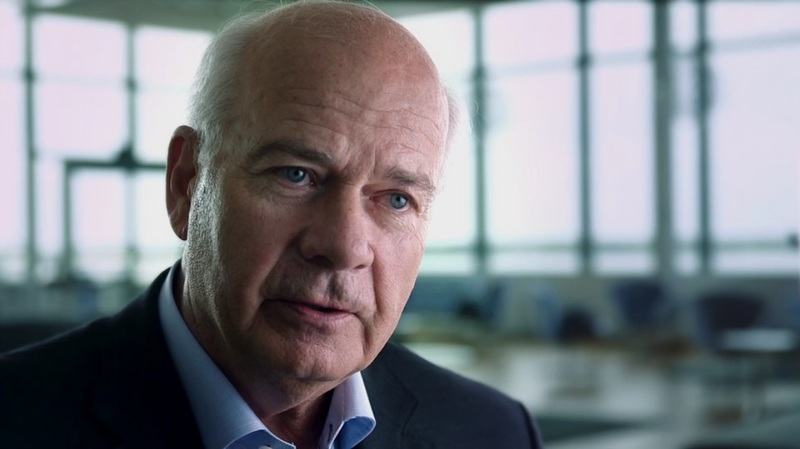 Veteran CBC broadcaster Peter Mansbridge once again closes with a most eloquent epilogue for this episode. “A Canadian is someone who cares,” he states. “They actually really care. Not just about themselves and their family, but they care about their neighbours, whether those neighbours are across the street, or across the country, or the other side of the world.” I’ll take that. Two things struck me in this episode. The most poignant—and perhaps meta—was the simple animation that illustrated how the wheat from the prairies made its way to Europe. Tracing the movements and the re-referencing of the Welland Canal was a clever application to illuminate how we are, even today, connected to the history of Canada. Were it not for the building of the canal that we saw in Episode 3 “Connected,” this would not have been possible, or perhaps as, fluid—pun intended—a method to transport supplies for the troops. The second and perhaps more important point that bears repeating: this episode illustrates quite nicely the degree of sacrifice that all Canadians—or most—across all demographics, made for the war effort. This was a unified nation focused on one goal. I was pleased with job the producers did on Francis Pegamahgabow. I was also pleased with the amount of time they devoted to his story, almost seven minutes of a 45-minute production. One of the things that jumped out at me was they introduced him as “an Anishnaabe from Wasauksing” rather than “an Ojibwa from the Parry Island Reserve.” The former introduction recognizes who we are rather than using the kind that has been foisted upon us for the previous 200 years. A little recognition is pleasing. He did remarkable things during The Great War and was well decorated for them. They went on to report on his return where he also did noteworthy things within his community. However, it wasn’t like that for all native warriors returning from the war. Over 4,000 native men from across the country enlisted. They went off to war on a foreign continent for a country that was suffocating them at home. When they returned it was to the weight of the Indian Act and as wards of the government, not as citizens with equal rights. My grandfather enlisted in 1916 and fought through to the Second Battle of Arras where he was wounded in 1918. In order for him and his young family to gain those rights when he got home, he had to go through enfranchisement, a construct invented by the government that allowed Indigenous people to sell their birthrights for full citizenship. It effectively removed them from the “Indian Register” and turned them into white people. That’s sad. If a nation wants to celebrate who it is that fine, but it needs to keep things in perspective. Laud the great things but don’t ignore the warts.